I hope that you will enjoy it as much as I did. Thank you to Geneviève for sending me the link! 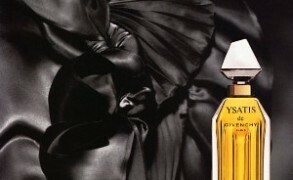 Extra: reviews of iris dominated perfumes (not just Chanel). Anne of Green Gables: Thanks again for the link, Victoria. I enjoyed it a lot. It’s intriguing that such a beautiful smell comes from the lowly roots. Only 1 kg of absolute from 15 tons of rhizomes? And a long time for the rhizomes to mature! No wonder why it’s one of the most prized materials in perfumery. If it’s so expensive to produce, how many of the current iris perfumes actually contain the iris absolute? Or do people resort to synthetics? Victoria: I’m glad that you liked it! Most brands can’t afford real iris absolute, and many brands can’t even afford iris synthetics, which are among the most expensive man-made materials (along with musks, some types of amber, etc.) Which is why when you read iris, half of the time you smell methyl ionone or some type of ionone, rather than orris butter or irone (the main component of iris, which can be synthesized). rainboweyes: On my skin ISM has a similar effect. After the initial sharpness, it develops into an amazing creamy, buttery scent that lasts for hours. I’m glad you discovered its beauty! Anne of Green Gables: Hi rainboweyes, you can find it in Ludwig Beck. I have to warn you though that it’s in a small, black vaporiser and not in a bell jar. If you’re ever in Munich and in mood for perfume shopping, I would highly recommend Ludwig Beck. It has a very nice perfume department with friendly staffs and the best thing for me is that they’re very generous with samples. rainboweyes: No, unfortunarely they only sell samples. Actually, I don’t know about any online sites selling decants. But another good place for purchasing samples is thedifferentscent.de. rainboweyes: No problem, Anne, I’ll be happy to help! Victoria: 🙂 I’ve never heard him speak, and yes, his voice and intonation are a pleasure to listen to. He clearly knows and loves the material, and watching this video made me want to douse myself in Iris Silver Mist. I know that it’s done by Maurice Roucel, not Sheldrake, but it’s such a great iris. Figuier: Yes, such a sad discontinuation! I can see that in some ways it doesn’t quite fit in with the brand image/feel, but it is so lovely. I have a small bottle of the edt, but am scheming to acquire some more since I actually wear it quite regularly in autumn & winter. Natalia: Wow, it almost seems like a miracle 🙂 And, of course, the music helps. Thank you for the video, it’s as enjoyable as it is informative. Anne of Green Gables: I came across this article while browsing through another blog: http://www.smh.com.au/lifestyle/a-nose-ahead-of-the-rest-20110608-1fsyc.html#ixzz1Q5uGqgYY. Here’s an excerpt from the article which might explain the powdery notes and use of musks. ”We feel – as perfumers, not marketers – it’s time to remind the world of No19, that it is extraordinary.” Sheldrake may not regard himself as a marketer but he keeps an eye on trends and says No 19 Poudre is in tune with current sensibilities. A new generation of synthetic musks added to the enhanced iris note produces the sort of notes women are expecting, Sheldrake says. Aisha: Very eye opening — and beautiful. I want to run in a field of irises now. Do the rhizomes of different species of irises produce different scents? Amer: As it happens I was thinking about Iris earlier today. Yes, Iris is a fascinating material and the description provided by mr.Sheldrake is true but also somewhat cliched and made to fit the perfume really. I don’t like Iris Poudre as I don’t find it to be as true to the natural material as I’d like it. My thoughts earlier were that a high content of Irones is not enough to call something an iris. As it happens with so many natural fragrant wonders, some molecules that may account for the 0.1% of the mass sometimes are responsible for the character of the substance as much as (if not more than) the main volatile ingredient. Iris for me is also somehow thick and buttery as well as rootty beyond the much worn “powdery” description. There are very few offers in the market in the sea of “irises” that feature these aspects of the material. I don’t mean to nag (but I do) but in the world of perfume, abstraction has led us to believe that an aspect is equivalent to the whole in so many occasions. I just don’t like it when perfumers and experts reproduce that myth that keeps people satisfied in the confines of the mainstream and lead them to believe that there is nothing else beyond it. Victoria: Hmm, Charleroi is not my idea of fun, but I hope that you found something interesting there. rainboweyes: I love irises both for their appearance as flowers – they are stunningly beatiful with their amazing colours, and some varieties (I. barbata) even have a delicate, caramel-like scent – and as the key ingredient in most of my favourite perfumes. maja: I find N. 19 Poudre similar to Infusion d’Iris. I used to like Infusion very much but I got tired and I never wear it again. My “new” favorite iris is the original Nina by Nina Ricci 🙂 A friend sent me a decant, it is so lovely. Can’t get enough. It is my favourite spring perfume and I often wear it on rainy days in the summer (we have plenty of them here, so a bottle often gets drained in no time, ha ha). Since none of the German perfumeries carries L’Heure Exquise, I’ve never had a chance to try it. I decided to blind-buy a bottle next spring, though (one blind buy per year is not too bad, is it?). Both Silver Iris and Iris Nazarena are on my to-buy list for next autumn (you’re right, the price of Iris Nazarena is ridiculous but I simply love it. It will be my combined birthday/Christmas present next year). rainboweyes: Oh yes, I do love iris scents. Once I recognized that I liked the iris note in Hiris so much, I started searching for other iris scents. Unfortunately the world of mainstream perfume had not much to offer (except No. 19 maybe which was too “serious” to me at that time) so I started exploring the internet. In one of the Hiris reviews the name Iris Silver Mist was mentioned and I blind-bought it straight away, assuming it was be similar to Hiris. Just imagine how unexperienced and blue-eyed I was! But guess what? I really loved it! After this experience no other austere iris could scare me away. Victoria: Sounds so much like own experience with iris. I also started with Hiris and even turned my mom onto it. Iris also seems to me as a scent that’s at once polished and intriguing. Even though I’ve been wearing Hiris and Iris Silver Mist for several years, I never got tired of them. Austenfan: Loved the video and love Sheldrake’s accent. Austenfan: Here is a link. Victoria: There might have been some mention of the Duke of Wellington. Austenfan: When Willem-Alexander first got engaged to Maxima their were a lot of people opposed to the approaching marriage because of her father’s past. Apart from her personal charm and intelligence, the fact that she learned Dutch so quickly and well was a big contributing factor in her popularity. She is by far our favourite member of the royal family. Karen Strickholm: I lust after the original Chanel no. 19 parfum, not made at the moment but still available from places like EBay. It seems that with no. 19, on certain body chemistries it goes to a whole other level. It is my favorite, favorite ever! Victoria: No, you’re right, it does mean that the perfume itself is made in the US. It would cost far too much to import the finished perfume, so Chanel, like many other big companies, has regional factories. The perfume oils are imported, but the water (and possibly alcohol) are local. When I’ve asked perfumers if there could any differences in smell, some said, yes, the water will affect it, while others said that no, it shouldn’t matter enough that someone would notice. So, there you have it. I haven’t compared side by side, but I can’t imagine that there would be any dramatic differences. Sandra: Ok! Thanks for the information. It makes sense to have US company, and probably more environmentally friendly.